Our track record includes recapitalisations, acquisitions and sales of distressed companies and assets as well as debt and equity restructuring. We have often succeeded in selling difficult assets by applying a holistic combination of complex and creative „step-by-step“ solutions. This may also include negotiations with creditors in order to stabilise the existing operations leading to a temporary stand-still or a debt-to-equity swap. 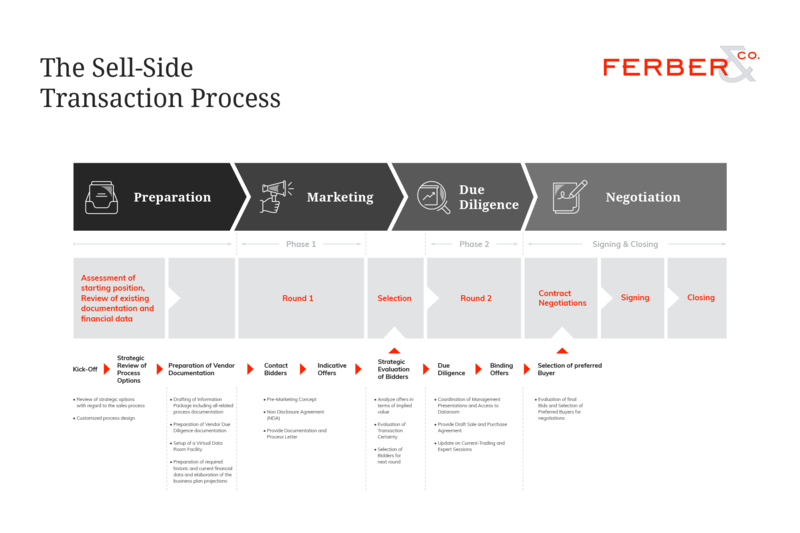 Right at the start of any assignment, FERBER & CO. analyses the strategic framework and maps out a range of key options available to our clients. Distressed assets require a distinctive approach, whereby the swift identification of existing unique selling positions, which might appeal to specific buyer categories, is a decisive factor. Prior to any sale process it is crucial to evaluate the value impact of the separation of potential non-operating assets.